It’s that time of year again. 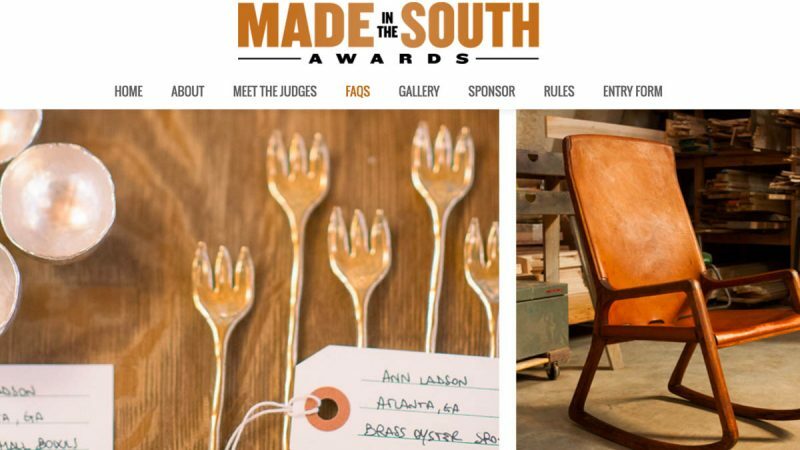 Time to enter the Made in the South Awards! …if you make some of the the best southern products around, that is. Why enter? Well, here is a bit of our story. 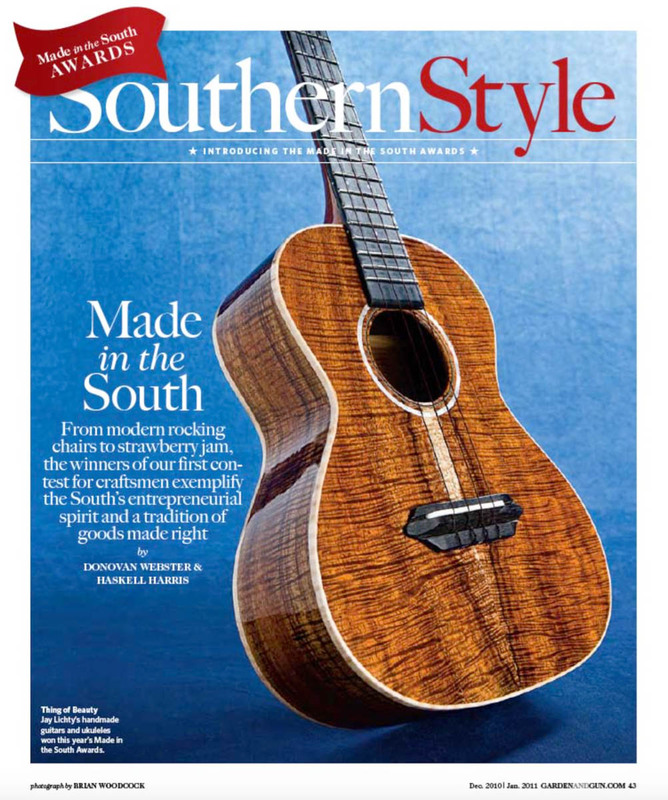 We think you will see why entering the Made in the South Awards is the best idea we have ever had! Back in 2010 Lichty Guitars was the overall winner of the first ever Made in the South Awards. When we say that winning the award was a defining moment in our business, we mean it. In the spring of 2016 Lichty Guitars celebrated the crafting of the 200th Lichty Instrument! 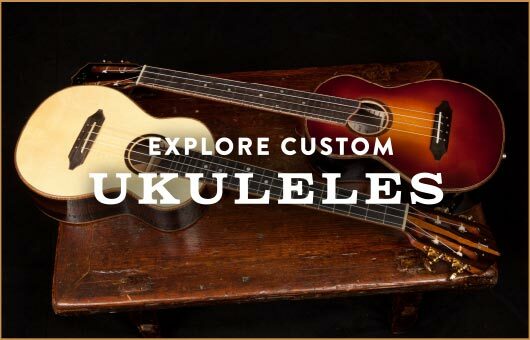 Our guitars and ukuleles have shipped to happy customers across the globe from Hong Kong to Austria to Nashville. Winning the award has given us expose that continues to contribute to our success. Case in point, we still get phone calls that go something like this – “Hi there. 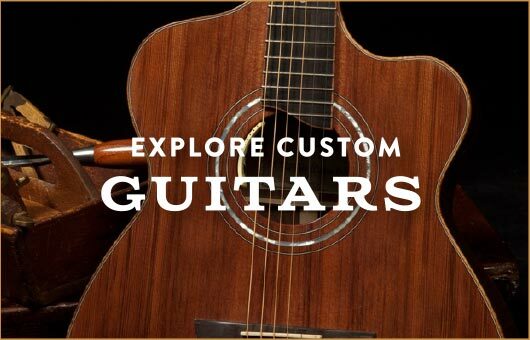 I read about you in Garden and Gun magazine and I’d like to order a custom guitar for someone special.” Oh, and let me point out that we just got this very call a week ago and we won the award back in 2010. How is that possible? The sweet thing about Garden & Gun magazine is that folks just don’t throw it away! It is a collectible magazine because the content is consistently that good! Over the years the Made in the South Awards has grown bigger and better with a cash prize for the overall winner now $10,000. 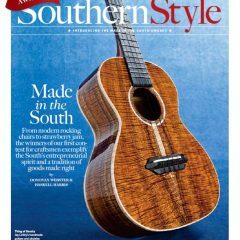 Many southern craftsmen, entrepreneurs, bakers, boat builders, distillers and more have been in the spotlight. In fact, some of our favorite products are ones we discovered because of this Garden & Gun annual extravaganza. Every year it is a blast to see who wins. So, back to “It’s that time of year again.” If you create a product that you think would WOW the judges for this year’s program you’ve got until July 15th to enter.